Horticulture LED lighting has opened a new horizon for farming. Indoor farming, vertical farming and many other alternative ways to grow crops free the weather limits for food production. 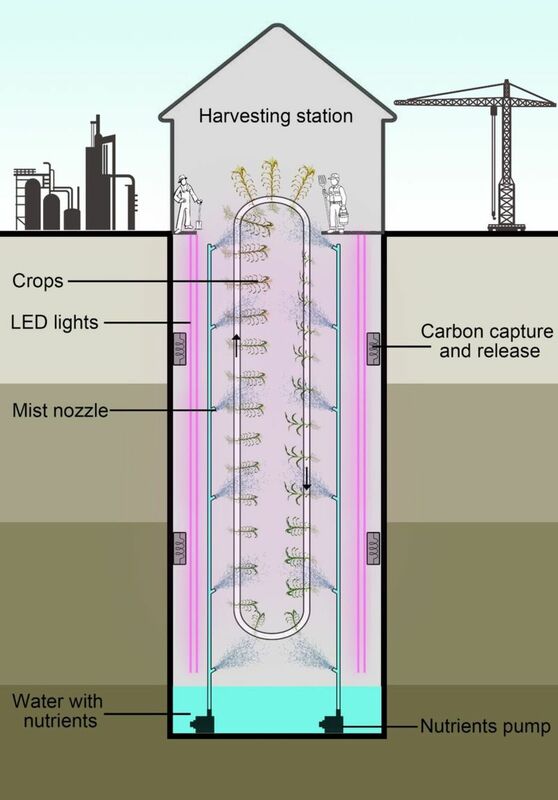 Now, British scholars at University of Nottingham suggested that abandoned underground coal mines could be suitable environments for growing vegetables. With hydroponic systems and LED lighting, crops can be grown in subterranean environments some advantages. For example, groundwater could be directly used in the hydroponic systems. Besides, crop production is unaffected by climatic or seasonal restrictions, allowing production of all kinds of crops all year round. The concept would also enable crops to be produced in arid and water-deficient areas. Moreover, subterranean farms could use CO2 capture and release systems, as these spaces are well suited to carbon storage. Addition carbon can also be adsorbed in materials in the subterranean space to reduce CO2 concentration in the environment. Riffat pointed out that there are millions of old mines and tunnels that are currently abandoned or not in use, including over 1,500 redundant coal mines in the UK. Transforming these underground spaces around cities into vertical farms could be advantageous in cutting down the food transporting cost.